"Christopher Seitz is one of the freshest voices in biblical scholarship: learned, witty, and incisively theological. He provides more reasons for recovering the ‘Elder’ Testament as a source for Christian thinking." 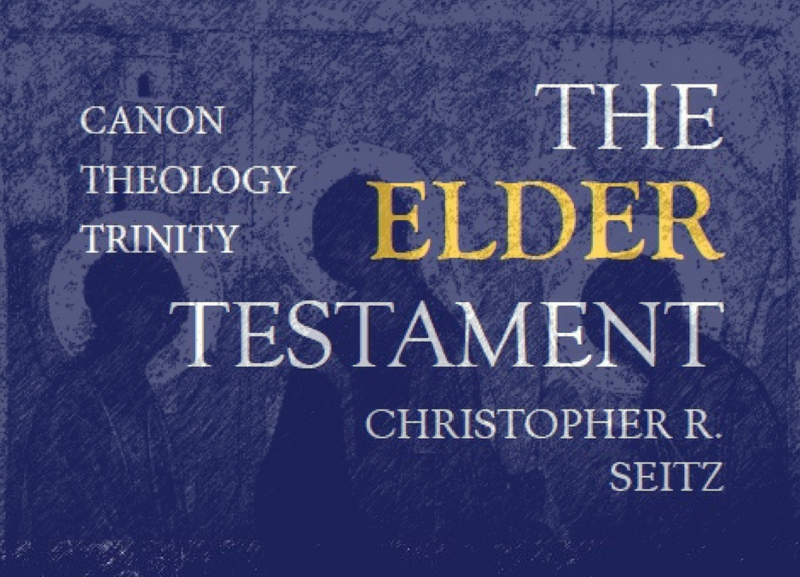 The Elder Testament: Canon, Theology, Trinity (Baylor University Press, 2018), the latest published work by Christopher Seitz, Senior Research Professor at Wycliffe College, is a theological introduction to the canonical unity of the Scriptures of Israel. He demonstrates that, while an emphasis on theology and canonical form often sidesteps critical methodology, the canon itself provides essential theological commentary on textual and historical reconstruction. Part One reflects on the Old Testament as literature inquiring about its implied reader. Seitz introduces the phrase “Elder Testament” to establish a wider conceptual lens for what is commonly called the “Old Testament” or the “Hebrew Bible,” so that the canon might be read to its fullest capacity. Part Two provides an overview of the canon proper, from Torah to Prophets to Writings. Seitz here employs modern criticism to highlight the theological character of the Bible in its peculiar canonical shape. But he argues that the canon cannot be reduced to simply vicissitudes of history, politics, or economics. Instead, the integrated form of this Elder Testament speaks of metahistorical disclosures of the divine, correlating the theological identity of God across time and beyond. Canon to Theology to Trinity. This trilogy, as Seitz concludes, is not strictly a historical sequence. Rather, this trilogy is ontologically calibrated through time by the One God who is the selfsame subject matter of both the Elder and New Testaments. The canon makes the traditional theological work of the church possible without forcing a choice between a minimalist criticism or a detached, often moribund systematic theology. The canon achieves “the concord and harmony of the law and the prophets in the covenant delivered at the coming of the Lord” of which Clement of Alexandria so eloquently spoke. Christopher R. Seitz (Ph.D. Yale) is Senior Research Professor of Biblical Interpretation at Wycliffe College at the University of Toronto. He is also the host of “Insights with Seitz: The Symphony of Scripture,” a weekly podcast exploring the themes and contours of the weekly scripture readings.